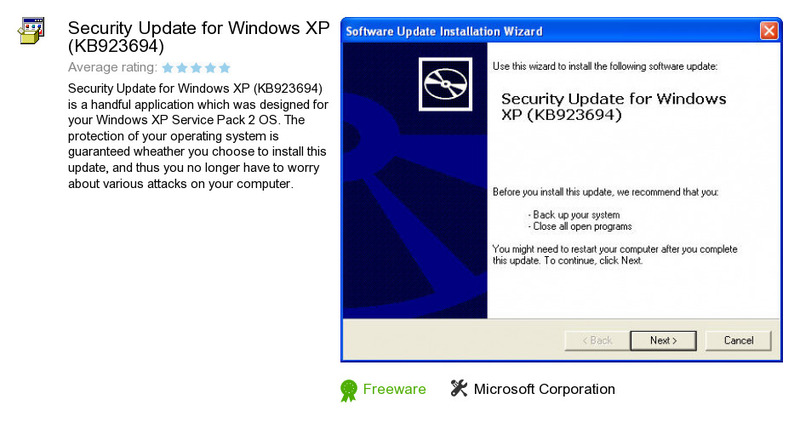 Security Update for Windows XP (KB923694) is a software product developed by Microsoft Corporation. We know of version 1.0. Version 1.0 is available for free download at our site. Security Update for Windows XP (KB923694) package has a size of 1,615,978 bytes. Microsoft Corporation also publishes Microsoft Visual Basic 2010 Express and Bing Toolbar.